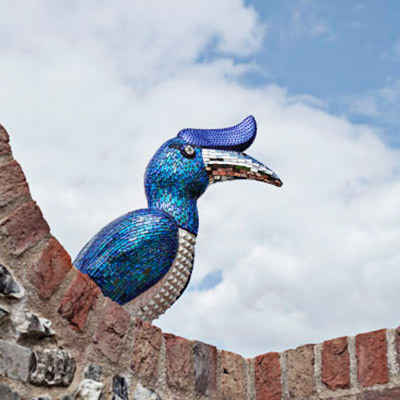 I was commissioned to mosaic a 1m hornbill bird by ‘The Animal Ball Executive Committee’ ( Aisha Caan, Sophie Dahl, Goldie Hawn, Christian Lacroix, Tom Parker- Bowles, Rula Lenska and others) for an elite collection of 20 decorated animals as part of a grand ball raising vital funds for the charities Elephant Family and Habitat for Humanity. 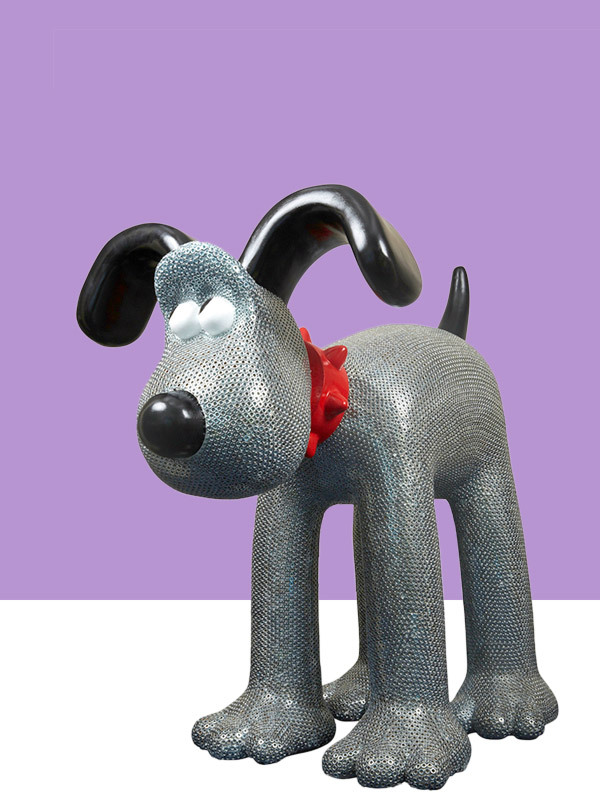 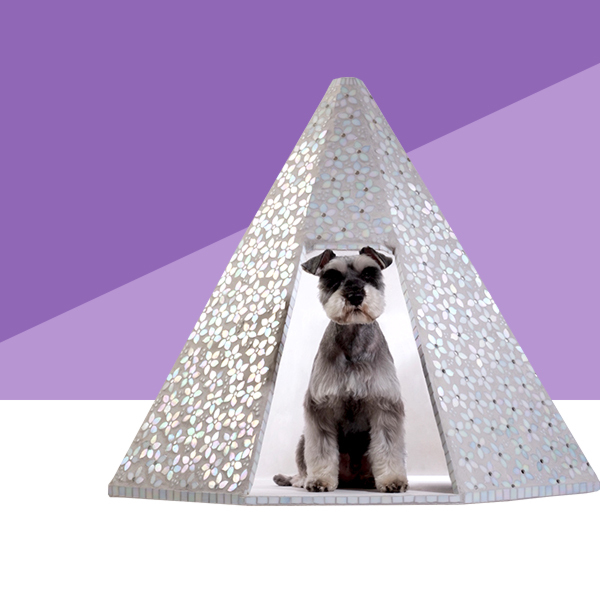 ‘The Lancaster Collection – 20 beautiful, unique animal sculptures created by some of the world’s most collectable artists. 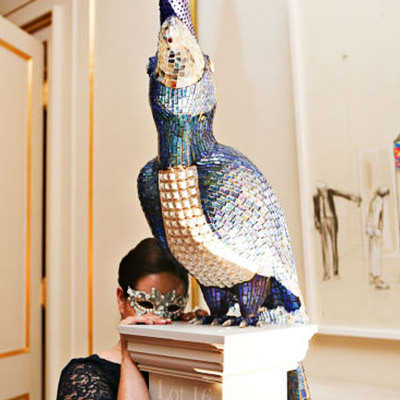 Their work metamorphoses beautifully onto animal sculptures – a panther in your hallway, an elephant in your garden, a hornbill perched on your balcony or even a crocodile in your swimming pool…’ The exclusive collection included artists such as Chapman Brothers, Jack Vettriano, Marc Quinn, Richie Culver. 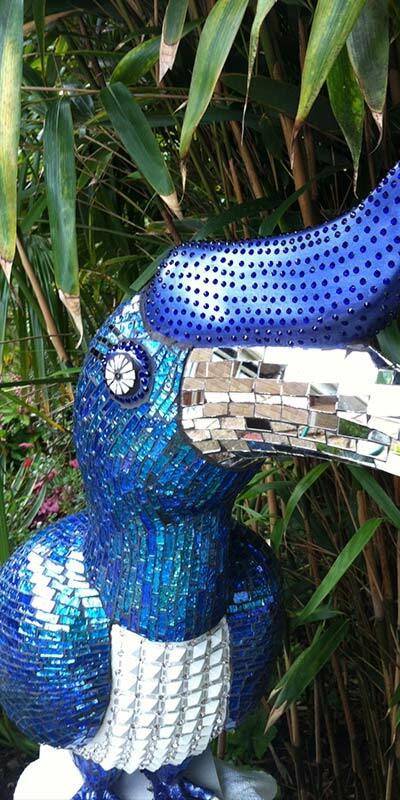 Kloo was mosaiced with different blues on the body, mirror beak and white studs / Swarovski crystals pattern on the tummy based on the intricate ceiling detail in Lancaster House. 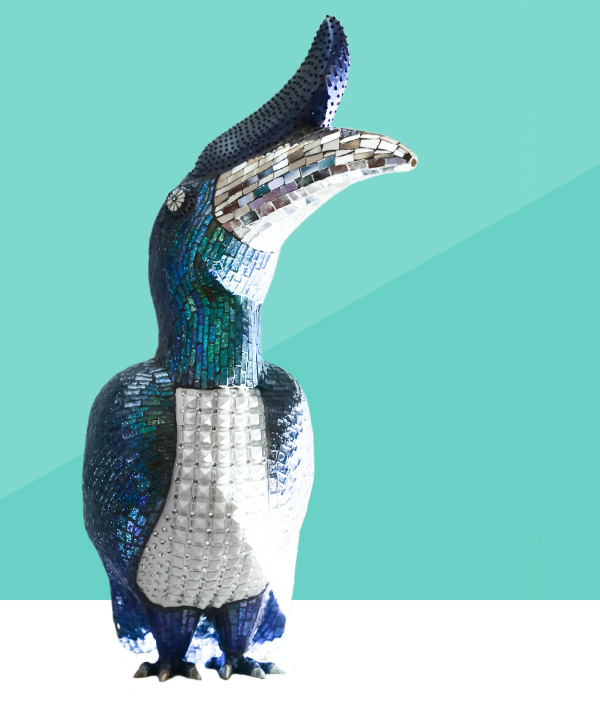 ‘Kloo’ the hornbill reflects the rarity of this species and now lives in Italy.